LibraryAware includes a number of tools that are huge timesavers, designed especially for the needs of libraries. Benefits-driven messaging and eye-catching images remind your patrons that the library offers more than just books. 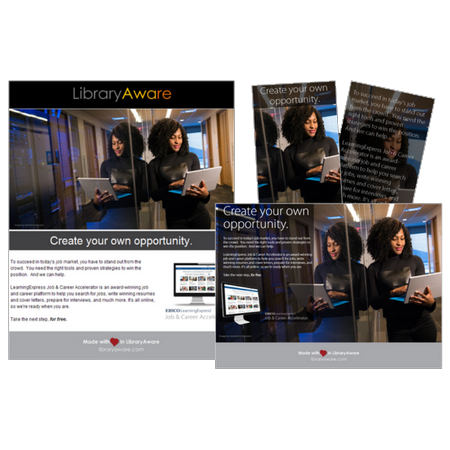 LibraryAware comes coordinating emails, bookmarks, and flyers that make up our resource promotion kits to help your customers learn about services you offer like LearningExpress and NoveList. Most of us are not graphic designers, so it’s a relief to have templates that look good (and that make you look good!). 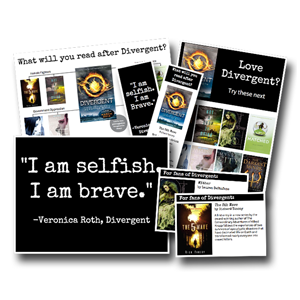 Choose from hundreds of flyers, bookmarks, emails, and more. Everything can be customized. Do you spend lots of time searching for the right image – and then wondering if you have the right to use it? LibraryAware comes with thousands of images, ready for you to use immediately, with no worries. Many of them are high quality images from Getty, while others are our own unique images. All of them are chosen for their relevance to libraries. 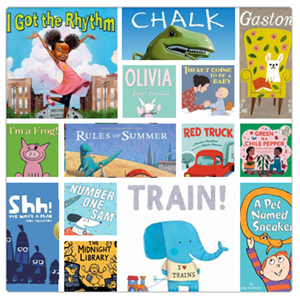 How often do you need to add book jackets to a flyer or reading list? With LibraryAware, you get access to millions of book jackets and annotations. We designed LibraryAware to work closely with one of the most valuable tools in your library (your catalog). You can post promotional items from LibraryAware to your catalog. 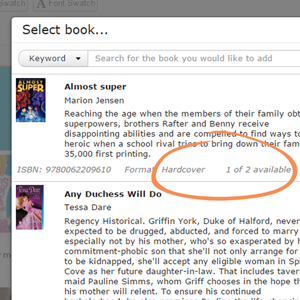 Recently, we added the optional On The Shelf (OTS) feature which shows you in real-time whether the books you're promoting are available in your collection.